Your application will start executing before the network is ready. Add this simple check before you perform any critical network tasks. Probably the most basic function that the JNIOR can perform is to close and open one of its relays. This is one of the ways the JNIOR controls the world around it. The Model 410 has 8 relays; The Model 412 has 12 relays; And, the Model 414 has just 4 relays. The number of inputs varies as 8, 4 and 12 respectively. These are small signal relays. Early production JNIORs (with Omron relays) are limited to 1A. We currently use relays that can handle 2A. Voltages as high as 120VAC or more may be used. The limiting factor though is the current and the inductance of the load. If you use one of the relay outputs to drive something like a larger relay’s coil you should make sure there is a flywheel diode for Back EMF Suppression in the circuit. Otherwise the spark that would occur across the contains will seriously limit the life of the relay. A MOV device would be even better. The Power 4ROUT external module that we have available uses 10A relays and has built-in MOV devices across each contact pair. 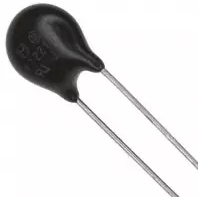 The part is Panasonic ERZ-V07D431 VARISTOR 430V 1.75KA DISC 7MM. These can obtained from DigiKey among other places. If you are driving an inductive load you can purchase these or similar devices and place one across the relay outputs to extend the relay life. There are a number of good pages on the Internet that address this concern. You can search on “Back EMF Suppression” for more information. Each Series 4 has at least two relays that can be modified by internal jumper to function Normally Closed (NC). The Model 412 has 4 that can be so configured. Right out of the box you can control the relays. Once you have connected the JNIOR to your network and set the IP addressing you can point your browser at the unit and open the DCP. Log in as the administrator. The default username is ‘jnior’ and the password is ‘jnior’. Here you can click on a “Toggle” button to turn on (close) and off (open) each relay. In the configuration section you can change the control to “Pulse” as I have done here for Relay Output 8. You can define the pulse duration in milliseconds. In fact, through configuration settings you can alter many aspects of this screen including the labels. The display can then reflect your application. A “guest” login will only be able to view the status. The control buttons are not displayed. So if you allow access to the JNIOR through your router you can control relays from anywhere in the world. It is highly recommended of course that you change the administrator’s password. I would also disable the “admin”, “user” and “guest” accounts if you do not need them. Use the USERS command in the Command Line Console to see the status of accounts. If you open your JNIOR up to the world you need to make sure that it is secure. You can control the relays from the Command Line Console using the JRMON command. The Command Line Console is available as a tab in the DCP (see image in prior post), through a Telnet (Port 23) connection, or through connection to the Serial RS-232 (COM) port at the bottom next to the LAN port on the JNIOR. The JRMON command will start an ASCII based real-time I/O status and command console. If you wish to control you need to use the JRMON -C option to enable command input. Here a “C1” closes Relay Output 1, “O1” opens that relay, and “Q” exits the mode. The 0’s and 1’s reflect the real-time status of inputs and outputs. In this case we have a Model 410 with 8 inputs (all off) and 8 relays (all off to start). Here additional relays will appear if you have a Model 412 or add 1 or more external 4ROUT modules. The number of inputs also follows with model with up to 12 inputs on a Model 414. You can execute a JRMON -X command at the Command Line and not invoke the real-time display. The following command closes Relay Output 2 and opens Relay Output 1. The JRMON is useful in debugging Digital I/O using the serial RS-232 (COM) port and through a Telnet connection. If you have network access though perhaps the DCP is more convenient as the Graphical User Interface is nicer. You would likely not need to use the JRMON command through the DCP Console tab. The JNIOR Protocol is deprecated and not recommended for new development. It is still supported however. For the Series 3 this was the protocol to use for remotely controlling the JNIOR. It is a binary protocol and very efficient. Experienced programmers can develop drivers to handle the JNIOR Protocol. INTEG supplies an SDK and API allowing PC applications to utilize the JNIOR Protocol. The Series 4 provides a more modern approach through a built-in Websockets interface. It’s use is preferred. I have attached the current JNIOR Protocol specification. Relays can be controlled through this protocol using the Command Message (Message Type 10). The status of the JNIOR is obtained through the Monitor Message (Message Type 1). The JNIOR Protocol is not strictly Master-Slave. While there are commands and responses, there are unsolicited messages. The Monitor Message is supplied by exception whenever I/O status changes. You do not need to poll for status as you would with MODBUS for instance. You would just wait and consume Monitor Messages when supplied. The Websockets interface is similar. With the Series 3 the configuration pages reached using the browser were required to execute Java Applets. The applet is the only way of making the JNIOR Protocol connection (Port 9200) for web use. Today both the applet and the JNIOR binary protocol are outdated. Both the Websockets Interface and the JNIOR Protocol can be used to remotely control relay outputs and maintain status of JNIOR I/O. The current Websockets documentation is a Wiki in our Redmine system at INTEG. I have generated a PDF copy of that document and attached it here. We will help you make use of this protocol. There is one more way to control relays. That is through an application program running on the JNIOR. Application programs are written in Java and can be generated by Netbeans or any Java IDE and compiler. The Series 4 operating system (JANOS) can execute Java JAR files directly. You write your program using the JNIOR runtime libraries, load it onto the JNIOR and execute it. Applications can be set to start at boot. You can do just about anything with an application program on the JNIOR. Manipulating the JNIOR I/O is obviously one of the most important. For example the following program when executed closes Relay Output 1. In this case I created a Project in Netbeans. I referenced the JanosClasses.jar runtime libraries (available in the JNIOR’s /etc folder). The program must be built to run in the JNIOR environment. It’s close to but not the same as a standard Java Runtime environment for the PC. It has additional classes like the JANOS class that provide for JNIOR functionality. The program is compiled and the JAR copied from the dist folder into the /flash folder on the JNIOR. I just drag and dropped it into the proper folder using the Folders tab of the DCP. Then from the command line just type the program name “jtest” to execute. It takes a second for the JVM to load and start the program. The relay then closes. By the way, I like to include the “throws Exception” or “throws Throwable” in my main method when I am first developing a program. Later I will remove it and then be forced by the compiler to place necessary try-catch clauses to get error handling as it needs to be. Uncaught exceptions are nicely reported by the JNIOR. There are still other ways to control JNIOR I/O. For one you can enable the MODBUS protocol. The JNIOR can be configured as either a MODBUS Server or MODBUS Client. Addressing is defined for the JNIOR I/O. There are a number of standard applications that INTEG supplies. The CINEMA application for instance allows you to define macros that are triggered by certain events and those can manipulate the I/O. Did I miss any? Maybe you know of another? Pictured is the core processing section of the first 412DMX hand-assembled prototype. This is typical of a core for the Series 4 JNIOR. So there is hardware but it ain’t worth the FR4 it sits upon without Firmware. No one today would argue that statement unless, of course, they just like to argue. But 50 years ago (yes its about 50 years!) few would understand. That Renesas RX63NE micro-controller’s internal high speed Flash initially is blank. This board would do nothing until we put something in there. I will tell what we put in there and how it came to be in this forum section. So we see here that the micro-controller has a basic RS-232 serial port (COM Diagnostic Port); It has access to the Ethernet LAN through an external PHY chip; And, there is a variety of external memory components. One of the key aspects or the hardware that the Operating System must determine is the configuration. The 412DMX pictured above supports 128MB of NAND Flash. The JNIORs in production at this point use 32MB Serial Flash. So this NAND is being introduced here. It provides for lower cost, larger storage capacity, faster access, and more flexibility. It may find its way back into the entire series 4 line when revisions come up. Every JNIOR has that battery backed-up low power SRAM. In production today we supply the 2MB chip. Some early JNIORs were built with 4MB chips. This is non-volatile memory. It contains the root of the file system (everything outside of the /flash and /temp folders). It maintains the Registry as the Series 4 does not reload from the /flash/jnior.ini file on boot. And, it holds other immutable memory blocks as might be needed for the system and its applications. All of that being the choice of the Operating System and we will discuss it a bit later. The 64MB DRAM is high-speed volatile memory that serves as the memory heap for the system. memory here is allocated, managed, freed, cleaned-up and formatted at the pleasure of the Operating System. JANOS has mastered the art of garbage collection making Java applications almost real-time. We will get in to all of that as well. Early JNIOR Series 4 and the Series 3 versions did not utilize DRAM. These depended entirely on the SRAM for non-volatile storage and memory heap. Life back then was limited. The DRAM offered much greater capacity and lower cost. It also provided for faster access. So that is the lay of the land where JANOS lives. Shortly we will get to know JANOS at an unprecedented level. By the way, and as an aside, JANOS is only available in the Series 4 JNIOR at the moment. It will appear in other INTEG products as time goes on. It will also make itself at home in other other processors (ARM for instance). In fact, it may even be available to anchor the operation of products developed by other companies. It was conceived of and born just a short 5 years ago. Only time will tell. Now, at least, it has us spoiled. With hardware just waiting to be programmed we encountered the first hurdle. The first thing the IDE wanted was a name for the project. This gave me pause since it would be the code base for the new operating system. So what do we call this OS? Knowing that we could change the name at any point we decided to get creative. I came up with JANOS which is an acronym standing for (J)nior (A)utomation (N)etwork (O)perating (S)ystem. The ‘J’ being a bit questionable as it could stand for (J)ava like that in JNIOR. Or it could just be because we like starting names with ‘J’. 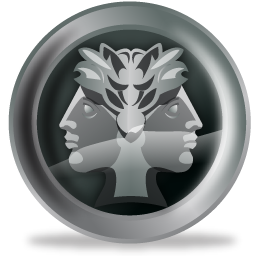 But JANOS started to make sense when we learned that Janus was an ancient Roman figure, spirit or god that guarded doorways and archways. Depicted with his face pointing in both directions he was the god that dealt with all things coming and going, past and future, beginning and ending. This could loosely be considered to be the controller or god of I/O, right? Bingo! So unless something better were to come up everyone seemed cool with the name and we quickly made it over our first real hurdle. A quick scan of the Internet led us to believe that “JANOS” would be relatively unencumbered for this use. The first C files were cast with a Copyright header referring to the code as JANOS. The earliest inception date seems to be the 15th of December 2011. That would be for main.c. I suppose that I could get into the reasoning behind the selection of the Renesas RX600 processor. Initially we developed using the RX62N and then moved to the RX63N when that became available. To start I would have to say that there certainly wasn’t an exhaustive search and very few processors were considered for JNIOR. Basically it was between some flavor of ARM and one or two micro-controllers that we had briefly looked into some years earlier. Luckily the local sales support for Renesas stepped in to tell us about the RX600 series. We had been inquiring about an earlier product. I had just wanted to pick something with the proper I/O mix that can handle the job and to pick it quickly. Processors these days are quite complex. Most of the techniques employed in their design are now common place but 50 years ago things were somewhat simpler. Pipelining is an example. We want code to execute efficiently and quickly. Speed being somewhat of concern as we were growing tired of the performance (or lack of) in the Series 3 JNIORs. Most all processors these days employ a form of pipelining wherein multiple instructions at various stages are being processed simultaneously. This manages memory access and calculations making optimum use of each and every clock cycle. I had been figuring on around a 100MHz system clock. That by itself isn’t fast given that PCs and smart phones all run an order of magnitude faster. But the JNIOR is just a controller and cost is a consideration. I also had wanted to avoid some of the concerns that come with high frequency circuit design. At the same time I was concerned about code size. The operating system would surely be quite large and the ARM appeared to have a fixed 32-bit instruction size. That means that to simply increment a register that instruction would consume 4 bytes of program memory. I will have to admit that I have no experience with ARM at this point. I figure that migrating JANOS to it is inevitable. But I was attracted to the RX line as it boasted both fast execution and compact code size. Having variable length instructions and instructions that combine operations makes the pipeline design difficult if not nearly impossible. But the RX has apparently gotten it done. Beyond the I/O pin count of the micro-controller and the included set of peripherals, I had also wanted a good amount of high-speed internal Flash for program storage. The processor also needed a good amount of high speed internal RAM for stacks. There also needed to be some form of internal EEPROM or erasable Data Flash for critical configuration settings. I had hoped to be less dependent upon the external memory devices which necessitate longer access timing. The RX62N seemed to cover my needs. So a quick decision was made and I proceeded to pick up an RX62N evaluation kit. That was the sum and total of our (not so) elaborate processor selection process. Of concern is the IDE supplied for the RX line. Looking back I can’t give Renesas good grades on this front. Their home grown IDE was full of rookie GUI bugs among other things. They quickly moved to an Eclipse based IDE which caused a bit of a headache at one point. The IDE gets the job done but there are soooo many configuration settings that even creating a branch in code for development is a challenge. It works though. But for operating system development you absolutely need good access to assembly code. Unlike 50 years ago the IDE now has you developing directly in C and hides any assembly aspect by supplying hidden initialization files and built-in libraries. That is all good if you are writing a simple single-threaded program but I was not. So to start I took the usual “Hello World” sample and had to dig into it to find all of the hidden code. We were not going to develop JANOS dependent on any one IDE or processor. So I needed access to each and every byte generated and incorporated in the resulting object files. Once the startup code was located and I proved that I could pull that out of hiding, I had to deal with libraries. The IDE supplies its own “Standard C Libraries”. Again that is great for simple program development. But here again taking JANOS to another platform would mean different library code and therefore uncertainty in result. I would also be developing a preemptive multi-tasking environment and C libraries that are not guaranteed to be reentrant or that use even a single static variable spell disaster. So JANOS required its own C Library code. Trying to prevent the IDE from supplying its own library code proved to be an issue. I managed to find the right balance that kept the built-in libraries out of the way. Even today it remains a concern. I’ve had to utilize uniquely named headers supplying standard named functions (i.e. pintf, etc.). It has been a challenge where the IDE should just have let me tell it that I did not want any libraries. Even at the instruction level there are macros that need to be considered. If you add two 64-bit variables on a 32-bit processor there is no single instruction available. The IDE inserts a block of code that performs the operation. So that sum becomes several instructions the code for which is IDE or manufacturer specific. This you cannot prevent and it is a necessity but I needed the source code for those macros. Again this is to insure proper operation of the preemptive tasking system and to increase confidence in moving to other platforms. None of these seemingly personal requirements of mine seemed to be received by Renesas with any evidence of understanding. Simply put, reverse engineering is also a necessity. I also needed to understand the approach the Renesas compiler uses for function calls. What processor registers are used and how stack space allocated and released. In addition I needed to understand the precise response to interrupts. This is key in creating a pure multi-tasking environment. Fortunately those topics are covered (briefly) in the Renesas compiler documentation. This does present a hurdle say if I want to use the IAR RX compiler at any point. Obviously JANOS exists and I managed to find some level of comfort and control over the development environment. If you are setting out to write an Operating System on par with Linux or JANOS you don’t want to do this. This is akin to standing at the edge of a cliff and looking straight down. If you realize how much work you have ahead of you, you will likely lose confidence in yourself. Then again, if you are staffing up to get the job done then understanding what needs to be done is critical. Here I am going to list the sections of code that had to be developed to get JANOS to where it is. I would bet that this list will be missing some of it but here goes. This will also be in rough chronological order. At least as to when coding for the section was started. Startup – Basically the main.c for the OS program. It is responsible for configuring hardware and each subsystem. Eventually this terminates and becomes the “Idle Process” executing an infinite wait look and collecting unused process time. Diagnostic Serial Port – The RS-232 (COM) port code so boot messages can be output and the command line interface developed. Process Management – The ability to execute more than one process through preemptive multitasking. Requires a 1 millisecond tick interrupt and the ability to swap process context with minimum overhead. This also allows processes to terminate or be terminated. This subsytem maintains the uptime and realtime clocks. Ethernet Interface – Configures the Ethernet peripherals and external PHY. This handles the delivery of outgoing packets and the reception of packets. This establishes the high-priority Network process needed to insure that network traffic can be received and processed quickly and efficiently. The Network Process was the first process created for JANOS and the first to run outside of the Startup/Idle Process. Command Process – The Command Line executes as its own process. This process is awakened by a keystroke on the RS-232 (COM) port and will handle all Command Line access. You will also be able to access this through a Telnet connection and via the Websockets Interface as well. Command Line – Prompts for command entry and allows for convenient entry of textual commands. Includes a set of built-in commands and facilitates the execution of application programs. Maintains command history allowing commands to be easily repeated. Memory Manager – Maintains Heap memory. This gives processes the ability to allocate memory for different purposes and then to return it for reuse. Efficiently manages the free memory block pool. Strives to minimize fragmentation and improve the availability. Date & Time – Provides the ability to set and read the hardware RTC. Maintains the time of day in milliseconds since some epoch. Provides the ability to convert the millisecond count into year-month-day formats. Handles time zones and Daylight Saving Time. System Process – The operating system itself has a number of background tasks it must attend to while other processes are busy with their own tasks. These are performed by the System Process. Network Protocol Stack – To exist on the network the JNIOR must handle standard protocols at a low level such as ARP, ICMP, DHCP and DNS. Then once IP addressing is established the higher level protocols like IP, UDP/IP and TCP/IP are required. Digital I/O – Subsytem handles the Digital Inputs and Relay Outputs. Handles counters and usage metering. File System – Provides that ability to store and retrieve data as files. This handles file storage as it distributed across memory technologies. The JNIOR stores files in the non-volatile SRAM, in Flash (/flash), and in volatile Heap (/temp). This includes static content from the Program ROM (/etc). Provides for file access controls using permissions modeled after Unix. C Libraries – JANOS is written in C and requires the standard C library. In order to insure the re-entrant and thread-safe aspect of the C Library you have to have the source code and therefore have written a custom library. AUX Serial Port – While very similar to the Diagnostics port, the AUX port includes handshaking capabilities and can support RS-485 communications. FTP Server – Required to get files on to and off of the JNIOR. WebServer – Used to serve files and create web sites. Websockets – WebServer HTTP/HTTPS connections can be upgraded to handle the Websockets Protocol. This provides for the ability to remotely monitor and control the JNIOR. JNIOR Protocol Sever – Provides for legacy support of the JNIOR protocol which allows for remote monitoring and control of the JNIOR. Registry System – Subsystem to manage name-value pairs for system configuration. JVM – Java Virtual Machine permitting programs written in Java to be executed. This includes a complete stand-alone Java Runtime Environment for the JNIOR. Uses a Native interface with the operating system. Library File Handling – The ability to access and decompress files stored in ZIP and JAR files. Necessary for the execution of externally compiled Java programs. Also expands the File System allowing the WebServer to serve files directly out of a ZIP library. External Module Support – Configures and utilizes the Sensor Port to manage external expansion modules. Network Time Protocol – NTP synchronizes the JNIOR clock with the rest of the world. Beacon Protocol – Required to facilitate initial network configuration. Used by the Support Tool in managing collections of JNIORs. Field Update – The ability to update JANOS in the field. Allows a UPD file to be loaded and the operating system updated on reboot. This must be a fault tolerant procedure. Sockets – The means by which Java application programs integrate with the network stack. Users – The ability to create users, maintain credentials and require login. Users can be created, disabled and removed. There are different user permissions/capabilities. Email – JANOS has the ability to send email notifications. Inter-process Messaging – JANOS supports a Message Pump which is a system by which messages can be circulated between processes. JANOS can notify applications of certain events. 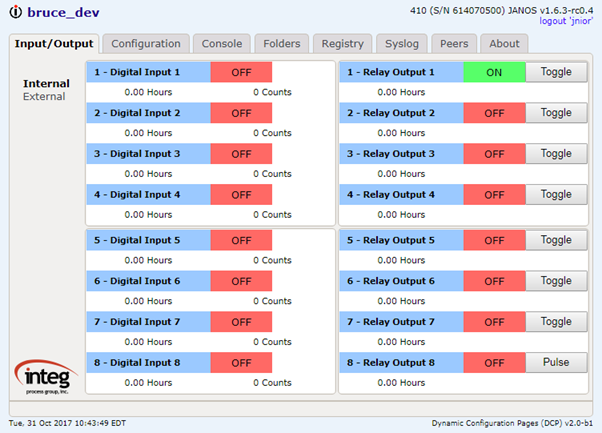 I/O Logging – The ability to log and display DIgitial I/O events and serial communications. Network Capture – The ability to capture network traffic for use in debugging. 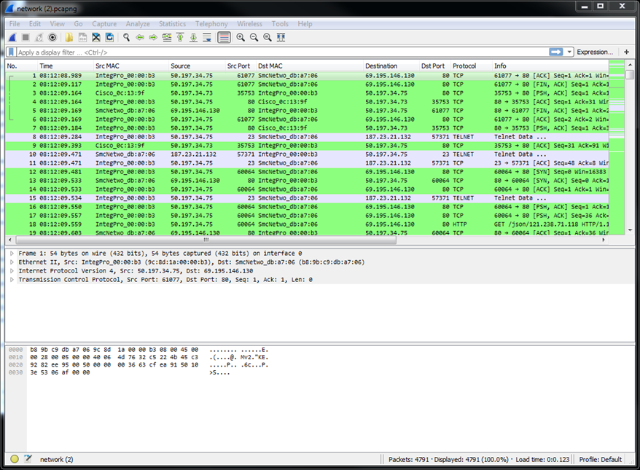 JANOS creates files compatible with WireShark. Security – Implements SSL/TLSv1.2 secure communications. This includes multi-precision math libraries, message digest calculations, encryption and decryption. Supports RSA, RC4, DES and others. Automatically generates self-signed certificates. Server-side Scripting – Handle PHP-like server side scripting to support the development of sophisticated dynamic websites. Regex Engine – Support the ability to perform search and replacement operations using Regular Expressions. Watchdogs – The ability to detect when program operation has failed and then to take action to restore operation. User Groups – Create user groups and assign users for use in handling file permissions. If I am missing anything feel free to ask about it. Some of these items are extremely complex in and by themselves while others were not all that complicated. It has taken some 5 years in development. The OS consists of over 400 individual source files and countless lines of code. Does anyone really know how to count code lines? Anyway, slowly I will proceed to describe the implementation details. In 2011 it became apparent that we needed to redesign the JNIOR. This was not because its features and functions were lacking in any serious way. It was more due to the fact that product performance was limited and starting to fall behind that expected by the market. We also could tell that certain devices we used were approaching some kind of End of Life. Specifically the Dallas/Maxim-IC DS400 processor. We needed to develop hardware around a new processor. While that was certainly doable from a hardware perspective, it meant that none of the existing JNIOR operating system code and its applications would be usable. Regardless of processor selection we would be faced with a new real-time operating system (RTOS) and have to develop a new approach to applications. This would mean as well that the user would see a totally different user interface and would have to learn new procedures for the JNIOR. Would the result actually be a JNIOR? Certainly we would not be creating a drop-in product revision. This was not going to be an acceptable approach. The main point in the specification of the next series of JNIOR demanded that it remain consistent and familiar to the customer base. If this was not the case then we would never be able to stop producing the Series 3 and move to the Series 4 in any seamless fashion. So in order to develop a revised series of the JNIOR without disrupting product use we had to both redesign the hardware and the firmware. We needed an RTOS were we would have complete control over the user interface and product capabilities. Given that existing operating system offerings were bloated with generic code, burdened with licensing issues, and expensive the decision was made to write our own. So the first step in any engineering project is to write the Specification document, right? It shouldn’t be any different here. But we never did create a specification document for this. Actually in this case there was no need. The Series 3 JNIOR in and by itself was our design specification. The intent of the effort was to create a 100% drop-in revision to the Series 3 that utilized a new processor. That meant that it couldn’t look different form a Series 3. All of the external hardware connections had to remain consistent. The external expansion modules needed to continue to be usable. And, it still needed to execute the existing application programs. Basically, once the Series 3 were no longer in production we needed to be able to ship a customer a replacement JNIOR that didn’t involve re-engineering the application and modifying the installation. That said, the intent also was for the new version of JNIOR to demonstrate “improved performance”. This mostly referred to processing speed. The Series 3 JNIORs were taking upwards of a minute just to boot and load applications. We had to improve on that. But by just how much? It was left unstated. There were also (naturally) software issues with the existing Series 3 line. Many were rooted in 3rd party code for which we had no access and no ability to rectify. Some of those bugs we indeed started to consider as features. It would make no sense to replicate any of those. The revised JNIOR would be able to address those issues even if it meant some slight change in user interface or procedure. This was to be minimized however. We had to consider licensing and copyrights. We could not directly convert the Dallas/Maxim-IC TINI operating system for our own use. We absolutely needed to develop our own new and improved code to avoid any legalities or added licensing expense. Further we wanted to insure that we would not encounter any deficiency or issue caused by 3rd party code. These tended to be costly in our experience as a solution generally was not forthcoming and we would spend a large effort in creating our own work-around. So the new operating system would not utilize 3rd party code if possible. We were to have 100% control of, and knowledge of, the source code. This allowing us to guarantee bug fixes in an unprecedented short turnaround. Finally, the door had to remain open for the introduction of new functionality that would improve the value of the product. So, I believe that this conveys the (previously unwritten) set of specifications behind the creation of the Series 4 JNIOR and the JANOS operating system. Now that the product revision is reaching its own maturity I’ll let you create the report card. With our goals set we obviously first and foremost had to select a new processor to sit at the core of the new JNIOR series. This would be a good topic for the Hardware section as there were a number of considerations involved. 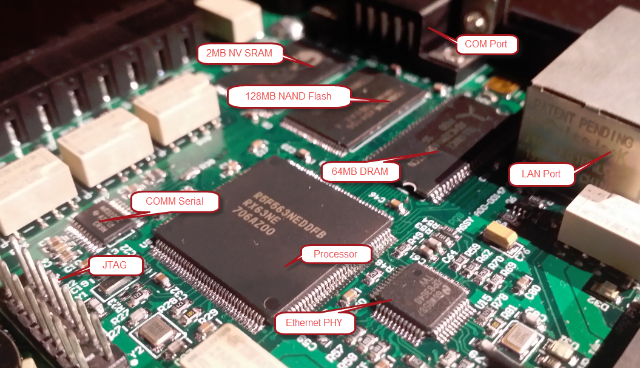 We decided to try the Renesas RX600 line and specifically the 144-pin version of the RX62N. We obtained an RX evaluation kit, installed the Renesas IDE and wrote some simple “Hello World” type programs. I then jumped into the assembly code and looked carefully at the register handling in C subroutine calls, the complexity of startup code, and the handling of interrupts. It also mattered how the program stack was handled. And there needed to be some atomic instructions (for mutex implementation). I could experiment with these things with the evaluation kit. It also mattered how code was optimized. Was code compact and yet still execute efficiently? The micro-controller’s complement of I/O pins and their flexibility were of interest. There had to be a good set of peripherals available. Enough to handle at least 3 serial streams. There needed to be flexibility in an external memory bus. Much had to be considered. Once the decision was made new schematics were created and a board laid out for the first Model 410. The first prototype was hand assembled and made to execute a simple “Hello World” program through the RS-232 (COM ) port. That was (to the best of my recollection) December of 2011. The Registry Key Assignments document is now distributed as part of the Dynamic Configuration Pages (DCP) package. You access that built-in documentation using the F1 key in the DCP or the link displayed at the bottom of the DCP. This is distributed with every JNIOR. If you do not have access to the DCP then your JNIOR needs to be updated. By the way, this Registry document is indexed and if you want to refer to a specific Key you can add it to the URL. For example if you want to see the documentation for the Device/Timezone Regsitry Key use the following custom link. And since this documentation is built into the DCP you can retrieve it from you own JNIOR. Just reference your JNIOR instead. Note that in this case since the DCP is not public you will have to log into your JNIOR. 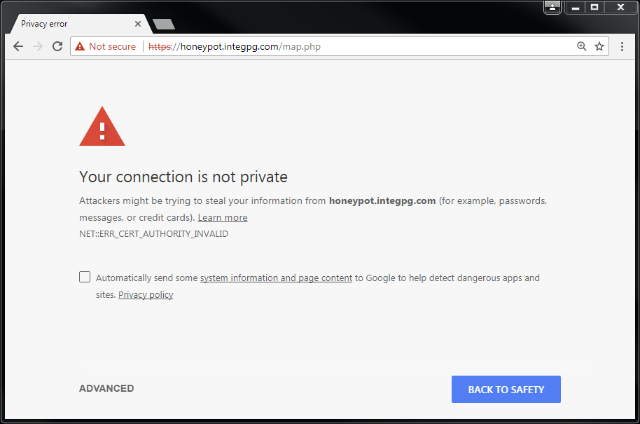 I will try to keep the most current version of the document on the HoneyPot though. That since most JNIORs probably need to be updated (which is highly recommended). As we approach the moment when we adjust the clocks as we head into winter it seems appropriate to point out the date and time tools that JANOS has to offer. Current Timezone is EST for the America/New_York area. Abbreviated EDT when Daylight Savings is in effect. DST begins at 02:00 on Sun on or after Mar 8th. DST ends at 02:00 on Sun on or after Nov 1st. When in effect DST sets clocks ahead by 1 hour. DST is currently in effect. The DATE -V command (V for verbose) offers a description of the current time status. Here we see that I have incorrectly referred to DST as “Daylight Savings Time” when in fact it is Daylight Saving Time. So, before posting this I’ll just update the JANOS code to correct that. My bad. It is in fact Daylight Saving Time and it is designed to capture an hour of sunshine that we would otherwise be sleeping through in the morning. To do this we set our clocks ahead an hour in the Spring at a point when the Sun insists on rising an hour before we want to get up. Remember “Spring ahead. Fall back.” DST is in effect during the Summer. So instead of it being 6:00 AM when the Sun blares into the room and pisses you off by waking you early, it will be 7:00 AM and maybe you should get up. That hour of daylight then is shifted to the end of the day. So it could be almost 10:00 PM before you have to put that lawnmower away. Seems like a reasonable thing to do. Well of course it causes all kinds of issues. Making matters worse not all timezones observe DST and some do but use a different set of rules. And although the rules haven’t been changed recently governments have been known to make adjustments. Sometimes DST usage is temporarily altered say for when we may be in an energy crisis. Then there are the cities or areas of a timezone that decide to not follow DST like the rest of their timezone. All of this makes it difficult for a device to cope. By the way, I’ve fixed my problem. You’ll have to wait for JANOS v1.6.3 for this. Sorry. Abbreviated EDT when Daylight Saving Time is in effect. Did you ever notice in windows that your file last modification times all change when you enable or disable DST? Windows apparently applies timezone and current DST status to any time it displays. So if DST is in effect every time you see is adjusted even if DST wasn’t in effect at that point in the past. So if I save a file today (October) it will show the file was created today at such and such a hour. But if I check that file date next month (November) after we leave DST it would have been created an hour earlier that I did it. Perhaps even before I got into work. Show your boss that and tell him that all summer long you consistently made it in early and deserve a bonus. Well the times will be off by an hour but trying to figure whether the times would be an hour earlier or later makes my head hurt. JANOS has been programmed differently and perhaps correctly at least in my opinion. When a time is displayed JANOS uses DST if and only if DST was in effect at that past moment. So when DST is enabled or disabled the file times remain consistent. You know, if you have written a Windows application that uses a file’s last modification time to check if the file were changed, you’ll go nuts. Twice a year you would think that batches of files suddenly have changed. Yeah I know Windows keeps a changed flag that you can and maybe need to use. But in general the file times seem like a reasonable indication of a change (or different version). You should use UTC anyway. Of course if you change the DST rules or your timezone for that matter the reported file times will naturally all change. It’s all no big deal anyway. We’ve also somehow moved from selecting your timezone to specifying a nearby city for getting your clock to display correctly. Well there are hundreds of major cities and that database becomes quite large given there is a lot of repetition (there a multiple major cities in a single timezone). Meanwhile the JNIOR is just a small device and doesn’t have the luxury of wasting storage space that you’ve spent your hard earned dollars on. In JANOS you select the timezone using its abbreviation and there is a short list of timezones included by default. DST begins at 02:00 on Sun on or after Mar 8th. Clocks move forward by 60 minutes. DST begins at 02:00 on Sun on or after Oct 1st. Clocks move forward by 60 minutes. DST ends at 03:00 on Sun on or after Apr 1st. DST begins at 03:00 on Sun on or before Mar 31st. Clocks move forward by 60 minutes. DST ends at 04:00 on Sun on or before Oct 31st. DST begins at 02:00 on Sun on or before Mar 31st. Clocks move forward by 60 minutes. DST ends at 03:00 on Sun on or before Oct 31st. DST begins at 01:00 on Sun on or before Mar 31st. Clocks move forward by 60 minutes. DST ends at 02:00 on Sun on or before Oct 31st. We’ve recently adjusted this list having learned of some additional DST rules. If you find that none of these standard timezones work for your location, tell me about it. I can add a new timezone (or fix an error) as easily as I changed “Daylight Savings Time” above. If this doesn’t do it for you, you can define a custom timezone. This is all described in the Registry Key Assignments document the current version of which is built into the DCP and distributed with every JNIOR. You can open the DCP by pointing your browser to your JNIOR and use the F1 key to bring up the documentation. A whole section on Custom Timezones and Timezone Corrections can be found in the Table of Contents. In fact I can put the current version of RegistryDoc.html and RegistryDoc.css (and also inputs.png) in the public web area on the HoneyPot unit. 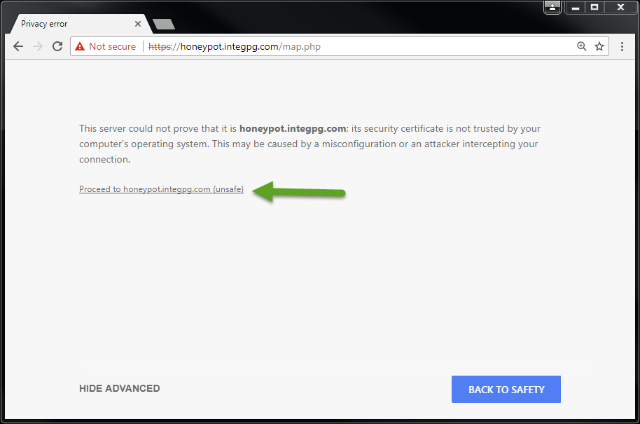 The HoneyPot is a JNIOR Model 410 that we have connected directly to the Internet for security testing. That means that you can also retrieve pages from it. I’ll try to remember to keep that copy current. Here’s a link to the Timezone section. 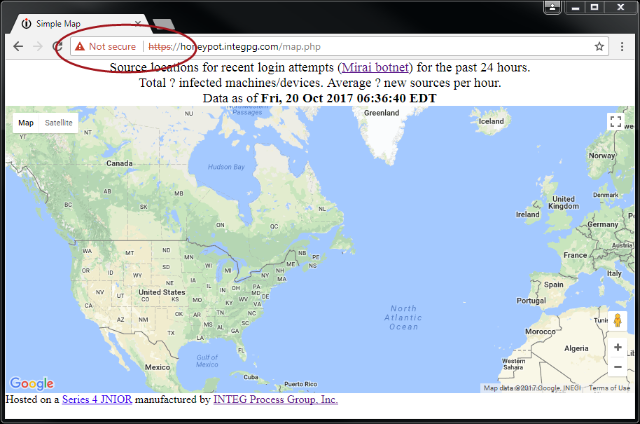 The JNIOR captures network traffic continuously. A large queue is established at boot and a record of network packets is kept. Once the queue fills the oldest packets are dropped. Depending on your network usage that queue might contain the past hour of traffic or much more. You can download this file to your personal computer. If you have Wireshark installed you will likely be able to double-click this PCAPNG file and it will open right up for viewing and analysis. By the way you can download Wireshark for free from https://www.wireshark.org/. Notice that in my example only the past 16 minutes were captured. First of all the capture begins at boot. So if your JNIOR has only been up for 16 minutes that is all that you will get. This, I think, was the case here. It is important also to note that when you access the DCP you are also using the network. That means that all of the packets involved with your browser access will also be captured. If you leave the DCP up to monitor the status of your JNIOR all of that traffic takes up space in the capture buffer. If you are interested in analyzing the JNIOR interaction with another device that DCP traffic will limit the amount of information you can capture relative to that other device. One solution is to not use the network to monitor the JNIOR by using the RS-232 (COM) port. But for that you have to be physically at the JNIOR and have the ability to use a serial connection. A better solution is to use capture filtering. With the JNIOR you can both filter the packets that are to be retained in the capture buffer and filter the packets that you extract into the /temp/network.pcapng file. For example I will set this JNIOR up to ignore HTTP (Port 80) traffic and capture everything else. I can then use the DCP without loading the capture buffer with packets that we are not interested in. This tells JANOS to only accept packets into the capture buffer that DO NOT reference port 80. This takes effect immediately (provided there isn’t a syntax error). The next /temp/network.pcapng file that I generate will no longer contain HTTP communications and therefore nothing to do with the DCP. There will be many more packets from a longer period of time all pertaining to other communications that might help with my debugging. The NETSTAT -F command basically sets the IpConfig/CaptureFilter Registry key. If you mouseover that key in the Registry tab of the DCP and hit F1 you will see the documentation for filtering and the syntax for these filters. These details are in the Registry Key Assignmentsdocumentation. The current version of that documented is distributed as part of the DCP. It will be present on every Series 4 JNIOR that is up to date. The content of a network capture or the network clients allowed to interact with the JNIOR can be controlled through dynamic filtering. These filters can be quite simple or, if needed, much more sophisticated. The IpConfig/CaptureFilter Registry key may optionally define a filter which is applied to incoming packet data prior to capture. There is limited storage for captured information and by filtering you can extend the capture period and the amount of pertinent information collected. A filter may also be used in generating the network.pcap capture file from the capture buffer. Here the filter allows you to extract only pertinent information and otherwise keep file sizes at a manageable level. The IpConfig/Allow Registry key may optionally define a filter which is applied to incoming connections. In this case the referenced IP addresses refer to the incoming source IP addresses, those of clients. Referenced port numbers refer only to destination ports, those available on the JNIOR. To filter packets referencing a specific IP address you need only include the IP address in the format “nnn.nnn.nnn.nnn” in the filter string. Any packet that references this IP address either as the source or the destination address will be selected for inclusion. All other packets will be excluded unless covered by some other part of the filter. To exclude packets referencing a certain IP address you can prefix a ‘!’ exclamation point to the address like this “!nnn.nnn.nnn.nnn”. All packets that do reference the IP address as either a source or destination address will NOT be selected for inclusion. This can also be written as “NOT nnn.nnn.nnn.nnn”. Note that an IP address is identified by its format, four decimal values between 0 and 255 separated by the ‘.’ period. The domain syntax allows a range of IP addresses associated with a netmask to be specified. The format is “nnn.nnn.nnn.nnn/mm” where ‘mm’ specifies the number of high order bits in the netmask. For example, “10.0.0.0/24” specifies any IP address in the domain that contains IP addresses 10.0.0.1 through 10.0.0.255 and uses a netmask of “255.255.255.0”. This would be useful in selecting only local traffic for instance. Although less often required you can filter on a specific MAC address. The MAC address is included in the filter string in the format “hh:hh:hh:hh:hh:hh”. The format is six hexadecimal values (0-9a-f or 0-9A-F) separated by the ‘:’ colon. For instance most INTEG Series 4 JNIORs have MAC address formatted as “9C:8D:1A:hh:hh:hh” where the lower three bytes are assigned in some sequence. As with IP addressing, packets with MAC addresses may be excluded by writing the filter as “!hh:hh:hh:hh:hh:hh” or “NOT hh:hh:hh:hh:hh:hh”. Again a MAC address is identified by its format. A port is specified in the filter string as a decimal value between 1 and 65535 inclusive. No punctuation is used. The capture filter does not distinguish between a TCP or UDP port number. A port may be excluded using the negation “!nnn” or “NOT nnn”. There are standard ports assigned for various functions. The capture filter knows some of them by name. Some may be reconfigured through the Registry. As a convenience the port may be specified using its protocol name. The capture will be filtered on the port as configured at the time the filter is compiled (at boot or upon NETSTAT command). JANOS recognizes these port names where the default values are shown in parentheses: SMTP (25), NTP (123), JNIOR (9200), FTP (21), HTTP (80), HTTPS (443), TELNET (23), and BEACON (4444). These ports may be excluded using the same negation syntax as previously shown. The capture filter will also recognize the terms TRUE and FALSE. True indicates that the packet is to be included and False otherwise. To filter on a single IP address, MAC address or port (or to exclude a single item) the filter need only specify the address or port in the associated format. The following would select the communications involved in an email transfer. If this is used as an incoming filter, only email transactions would be captured. If this is used with NETSTAT –C in generating the PCAPNG file, the file would only include email communications. Note that filters (and also commands) are not case-sensitive. Either form above will create a PCAPNG file with just email communications. This assumes that you have not reconfigured the SMTP port. If you have set Email/Port to another port (587 for instance) then the first line will extract your email communications and the second will not. Although the second filter might show an application trying to use the incorrect port. Filters often need to be slightly more complex in order to include the collection of communications needed. The syntax allows you to specify any number of addresses or ports in any combination using AND, OR and XOR logic. As an alternative you may use the notation ‘&&” and ‘||’ for AND or OR respectively. As an example perhaps you want to filter only email communications with the SERVER. A parentheses grouping can be negated as you would expect. The following will create a capture of all activity EXCEPT email communications with the SERVER. This would result in the following Registry setting and would filter out matching communications until such time as the filter is removed. The JNIOR will only capture packets that are addressed to it. That would include broadcasts. Ok. Well perhaps it is undocumented (and you didn’t hear it from me) but you can set the IpConfig/Promiscuous Registry Key to true. The JNIOR then will capture (subject to any filtering) all traffic including packets not addressed to the JNIOR. But for this to be of any use you will need to be using a Network Hub instead of a Network Switch. There is a difference. The latter “switch” will only pass packets to the JNIOR that are addressed to it in addition to any broadcasts. If you are interested in other traffic you need to use the “hub” which passes all traffic to all connected devices. The Series 4 JNIOR with a hub then can be a valuable network debugging tool useful in sniffing traffic between two other devices (connected via hubs). It would allow you to remotely use the features of Wireshark. When you open your browser and point it to your JNIOR you should get the DCP by default. If you still get the old applets then you need to update your JNIOR. We highly recommend that you always run the latest version of JANOS and DCP. But what if you are running a special application and you want your own web page to come up by default. How do you then get to the DCP or get it out of the way? The DCP is stored within and served directly from the /flash/www.zip library. You can move that file into the /flash/www folder and rename it something like config.zip. So now you have the file /flash/www/config.zip. Did you know that the DCP includes documentation in the form of Help? Many of you have seen the Registry Key Assignments document. Well we no longer maintain the PDF of that. The most current Registry documentation is distributed with every JNIOR as part of the DCP. Every configuration setting is associated with a Registry Key. Simply by placing your mouse over a setting a Tool Tip will display the associated Registry Key for you. You can make use of that if you want to access the Registry by some other means. A link will also display at the bottom of the page as shown above. If you can remove your mouse from a setting without mousing over another you can then click the link to access the documentation. You can also use the F1 key while holding you mouse over a setting to access the documentation. A form of context help is provided by opening the distributed Registry Key Assignments document and indexing to the referenced key. Note that you might need to update your operating system (JANOS) to the latest to get access to all of these features. If you update manually (use JRUPDATE) then you will also need to update /flash/www.zip to install the latest DCP. And if you still get the old applets when you open your browser, then there is probably a /flash/www/index.php or similar index file in that folder that you will need to remove. If you update using an update project in the Support Tool it is likely that the project takes care of these steps for you. If you are working at the Command Line through a Telnet connection and want information on a particular Registry Key or setup, simply open your browser to the DCP and hit F1. If you are working in the Console Tab (DCP access to the command line interface) the F1 keystroke gets you to that document as well. Okay, so you might search all through your JNIOR’s file system and not find any RegistryDoc.html file. That is because it is contained within the /flash/www.zip library and JANOS knows how to serve files directly out of a compressed library. It can locate the files using the path to the library, the name of the library and any path therein up to the filename. And since the default root for the Webserver is /flash/www it knows to look right in there. The Series 4 JNIOR can be configured to send email. The approach is slightly different than what existed in the prior controller series. The differences are driven by the heightened concern for security and an increase in restrictions on email server use. First of all, we now we require valid user credentials (username and password) for authentication at the defined MailHost. You can only submit email to a Comcast SMTP server if you have a valid Comcast email account for example. Just having a valid Comcast email address or originating on a Comcast subnet is no longer sufficient identification. A login is typically required. Secondly, the Series 4 can establish SSL/TLS secure connections. That means that your email content and credentials are protected by encryption. This was not possible in the prior series where such communications had to be in the clear and readable by anyone clever enough to sniff the network. The attached document was written prior to the introduction of the DCP (Dynamic Configuration Pages) which are accessed using your browser. At that time one had to use the IPCONFIG command to enter email user credentials in order to encrypt and protect the account password. Most configuration can be also achieved through Registry key modifications. But the password entry requires the active step of encryption which is handled by IPCONFIG. I will detail recent changes here. Up to and including the release of JANOS v1.6.2 email can be delivered through an SMTP port (default 25) or MSA port (default 587). JANOS handles both of these ports in the same manner. The JNIOR will authenticate and then if the STARTTLS option is supported JANOS will establish an encrypted connection. The latter requires that SSL be enabled on the JNIOR which it is by default. You will not get an indication as whether or not an SSL/TLS connection is in use. You could enable SSL Required but that may have other ramifications (such as requiring the use of HTTPS protocols for web connections). Beginning with JANOS v1.6.3 you will be able to use the SMTPS port (default 465) for guaranteed secure email delivery. The SMTPS port requires a SSL/TLS secure connection right from the start. The email submission procedure will not proceed until the connection is secure. So in this case you can be certain that content and credentials are fully protected. A new Registry key Email/SMTPS must be set TRUE or enabled so JANOS knows to immediately secure the connection. By the way, JANOS uses this same STARTTLS option to secure FTP. The JANOS Telnet Server which can be used to access the Command Line interface also supports STARTTLS. In this case the option had be proposed but not adopted. So, to our knowledge, the INTEG Telent tools are the only ones that provide the secure Telnet channel. All of this becomes simple when the DCP is used over a secure connection (HTTPS). Make sure that your IP configuration (IP address, Subnet, Gateway and DNS servers) is correct. If you are using the default NTP server for synchronizing the clock and you see that NTP is doing just that by the entry in the system log, then your IP configuration is most likely correct. 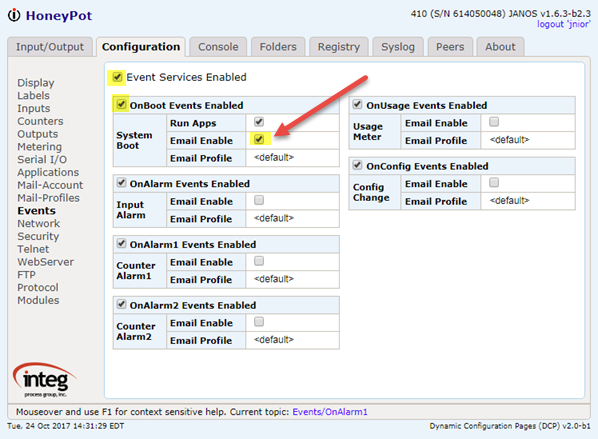 Set the MailHost or Mail Server. This would be something along the lines of smtp.comcast.net. Enter you own email address as the From address. Emails will look like they come from you. Enter your Username. Depending on the system that may be your email address or just the prefix. Note that IPCONFIG and also the DCP will prompt for a password. Once that is confirmed it will be encrypted and stored securely. By default the email port is 25. That should work for you. Depending on your service they may ask you to use a different port. Set the port as needed. If it is port 465 (or other SMTPS port) you will need JANOS v1.6.3 and Email/SMTPS enabled. A good test is to enable the Email On Boot and reboot the JNIOR. That setting is on the events page in the DCP. The document attached above tells you how to use the SENDMAIL command form the Command Line which is also useful for testing. Since today you really need to keep the Login requirement enabled on your JNIORs, what if you want to serve some Web data publicly? You know, without having everyone use a password? Well, you probably aren’t aware that in addition to the default WebServer root of /flash/www there is another called /flash/public. Yep. You can probably guess now that anything you put in /flash/public will be served by the WebServer without requiring that the client login/authenticate. Everything else remains secure and requires your login for access. There you didn’t need to login and yet that JNIOR is secure and nothing else can be accessed or modified without securely logging in. Oh and you could rename /flash/www.zip as /flash/public.zip and serve the DCP publicly. Wait! wouldn’t that be dangerous? Well, not really. The DCP makes a secure Websockets connection back to the JNIOR. That Websockets interface requires a login (assuming you haven’t also disabled that). So when you open the public DCP you are again asked to login. You have to properly authenticate before you can really do anything. The Series 4 JNIOR supports TLS v1.2 and provides for secure communications through HTTPS port 443. Your unit’s certificate however is not signed by a Trusted Root Authority and you will need to approve access. While that procedure results in secure communications the browser tends to make you think otherwise. But, there is a way to get the coveted Green Secure Logo. I am using Chrome and every browser has its own way to scare you. In this case I would need to use the ‘ADVANCED’ link in the lower left. In clicking ‘ADVANCED’ there is a bit of an explanation. Here I have to option to proceed. Note that it says “unsafe” but you are accessing the JNIOR and what does the browser know about that? Why is the JNIOR unsafe? But if you were heading to your bank and plan to enter all of your secrets I guess then this might be unsafe. When you proceed (and the JNIOR is safe!) you get the page. Even though it says that you are “Not Secure” the communications are indeed encrypted and quite secure. The browser just can be certain that you are communicating with someone or something that you can trust. By the way, I snapped the image before the map markers appeared. Generally you can click on the red “Not Secure” logo and obtain some further details. There generally is some way to view the certificate and potentially trust it. I will show you how that is done at least with my version of Windows 7. I am going to take you through the manual procedure as a browser-independent approach. First you will need a copy of the JNIOR’s certificate. Now it may be possible to get that using the browser. You would need to do that if you were not the administrator of the JNIOR. That would be the case for you and our HoneyPot unit. Assuming that you are the administrator of your JNIOR, log into the the command line Console. We are going to use the CERTMGR command to get a copy of the current certificate. Note that when you change the unit’s IP address or hostname a new certificate will be automatically generated That new certificate will be different than one that you may have trusted. So you may need to repeat this for units running DHCP if they are assigned a new IP address and simply don’t continue to renew the same one. So here we see that the -E option will export the certificate. Simply use the following command to export the certificate to a file. The CER extension is appropriate. Finally download this file to your PC. You can do that through the Folders tab in the DCP by double-clicking the file or through FTP however you like. Now we are going to use the Microsoft Management Console (MMC) to import this certificate into the trusted area. Note that by doing so you are not creating any risk. The JNIOR’s certificate cannot be used to sign other certificates and having it present in the Certificate Store will not trust anything other than your JNIOR (and then only for as long as that certificate stays active). In the following procedure you will open the MMC as an administrator, add the snap-in that handles Certificates, and import the JNIOR’s certificate into the proper trusted store. Open the Start Menu and enter “MMC” to search. Right-click on mmc.exe and select ‘Run as Administrator’. Allow the console to run. Click ‘File’ and “Add/Remove snap-in..’ from the menu bar. From the Available snap-ins select ‘Certificates’ and click ‘Add’. You will be managing certificates for the ‘Computer Account’ on the ‘Local Computer’. Click ‘Finish’ and ‘Ok’ to return to the main MMC screen. Expand ‘Trusted Root Certificate Authorities’. Click ‘Certificates’. A lengthy list should appear on the right. Right-click on ‘Trusted Root Certificate Authorities’ back on the left and select ‘All Tasks’ and ‘Import…’. You can also right-click on ‘Certificates’ over there and get to the same ‘Import..’ action. Click ‘Next’ and follow the WIzard. You will browser for your CER file. Then use ‘Next’, ‘Finish’ and ‘Ok’ to perform the import. You should see a message indicating success. Your certificate will now appear in the lengthy list of root certificates. Note that at some point you may have older certificates here for JNIORs. You can right-click them to ‘Delete; the older ones. Make sure to only delete JNIOR certificates. You don’t want to disturb the computers normal chains of trust. Now exit the MMC and you don’t need to save the console. Access your JNIOR using the HTTPS form of URL in your browser and you should now see the Green Secure logo! Attached is the CER file for HoneyPot as of this writing. This has been pretty stable as this unit has a fixed IP address. If you add this to your Trusted Root Certificate Authorities store you will get the Green Secure logo too. By the way the JNIOR can show you the content of these CER files. It is pretty cryptic and some of us know what it all means. The Series 4 supports a built-in Websockets interface. Websockets operates through the standard HTTP ports and is supported by all browsers. The JNIOR Websockets interface supports all of the same functionality of the JNIOR Protocol and much more. The JNIOR Protocol is a binary protocol and challenging to implement. Websockets is JSON based and much more straight forward. If your Series 4 is still presenting you with the applet issue, you need to update. We recommend always that you run the latest JANOS release. The update project for that will replace the applets with the DCP. You should be running at least JANOS v1.6.2. If you update JANOS manually using a UPD. The DCP is installed by copying the www.zip file into the /flash folder. You should also make sure that any index.html or index.php file is removed from the /flash/www folder. This www.zip folder should not be expanded as JANOS serves files directly from the compressed library. This is what the DCP looks like.